Last week there was a window display in the Sue Ryder shop to celebrate Diwali – the most well-known of the Hindu festivals. I think we should be saying ‘Happy Diwali’ today but the display has already moved on to Halloween. That small side window regularly reflects the changing seasons. 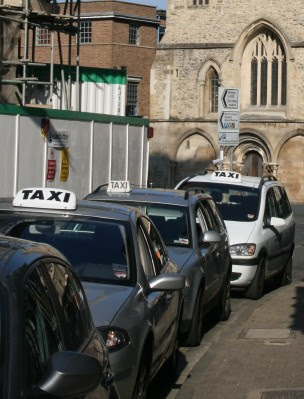 Through the side window can be seen a row of taxis. Taxi ranks are soon to change in Abingdon. Elsewhere in town double yellow lines are to be blasted away to give additional spaces for taxis, but outside Sue Ryder the taxi rank is to be replaced by a loading bay for the museum, and an additional residents’ parking place. A Christmas Shop is about to open where the Community Shop used to be along Bury Street. 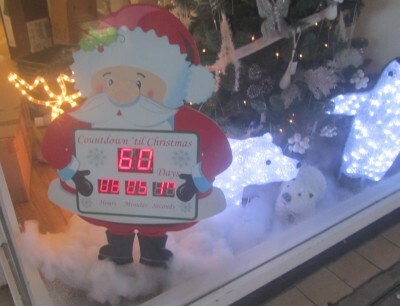 In the window it shows 60 days to Christmas. 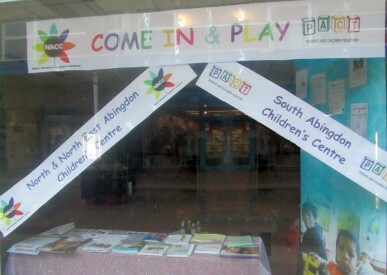 The Community Shop has moved along on the same side, and this half term week there are play activities thanks to the North and South Abingdon Children’s Centres. Outside what was the Ox Public House, on the Oxford Road in Abingdon, signs on the hoardings now advertise “Fruit and vegetables…” “Fresh bread and cakes…” “You shop we drop…”. The Abingdon Herald front page story last week highlighted the traffic dangers of this particular site becoming a Tesco Express. 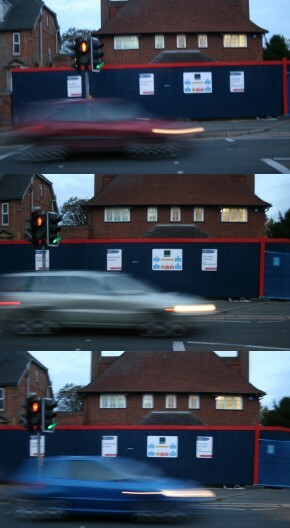 See more at the website for the campaign against …Tesco Oxford Road Action Group. 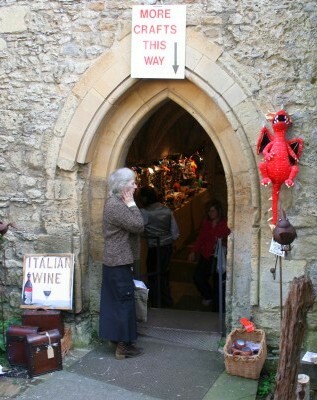 The Abingdon Autumn Craft Fair is held in the Medieval Abbey Buildings, off Checker Walk, in Abingdon. We have just come to the end of the first week. 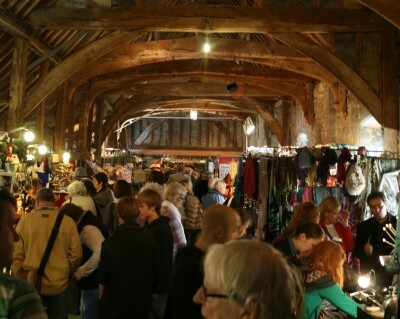 A Craft Fair was first held in the Medieaval Buildings in 1970. 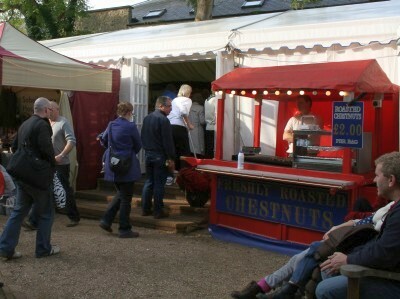 During the 1970s the craft fairs got larger and from 1980 until very recently were organised by Mrs Pauline Burren, on behalf of the Friends of Abingdon who own the buildings. Pauline still organises volunteers to man the Friends of Abingdon stall at the Craft Fair, but the organisation of the fair has passed on to the Abingdon Craft Fair and Design Limited. You may have seen their van. 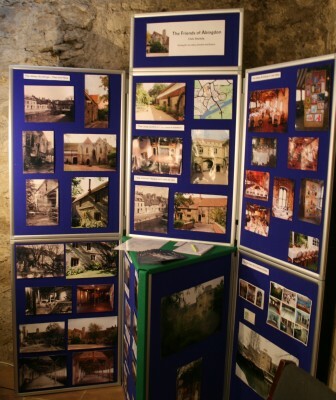 The Craft Fair, and other activities like weddings, help to pay for maintenance and improvements to the Medieaval Abbey Buildings. There is another Craft Fair next weekend, from Thur. 27 – Sun. 30 October, and the weekend after – Fri 4th Nov – sees the first new Folk at the Unicorn – in the Unicorn Theatre alongside the Medieaval Abbey Buildings. 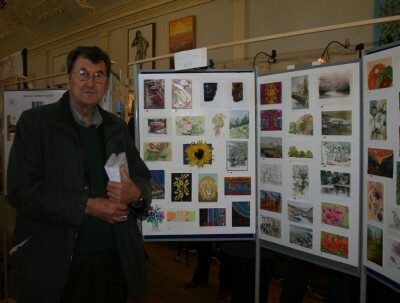 A special feature this year, arranged by Peter Clare as a fund raiser for Abingdon Musuem Friends, is an exhibition of postcard art. 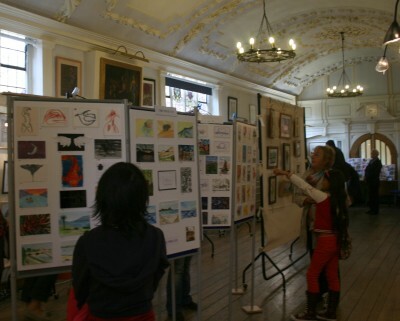 There are postcards painted by different artists – many of them well known in Abingdon art circles. None of the artists names are displayed so you have to choose what you like. £10 a go.